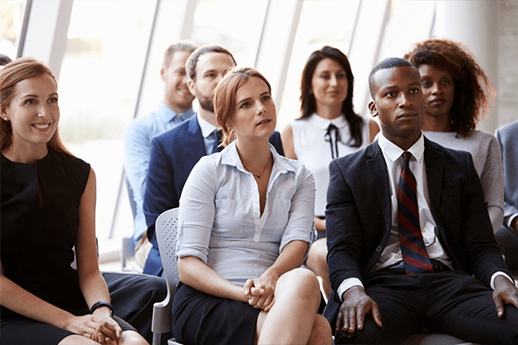 Public Speaking Courses & Presentation Workshops for Executives - Vocal Impact, Inc.
and performance-proven, systematically building skills and discipline in the communicator. People who seek our services are already successful. They are seasoned executives who are highly effective but have a challenge that they want to overcome. They are not having the impact on the business that they want, they want to step up a notch or they want to transition to a new level in the organization. We assess their skills, we clarify intention, train muscles, fortify new behaviors, build personal brand and strengthen performance. We coach for lasting results, meeting regularly over months rather than days. Our clients learn powerful communication skills to apply immediately that improve their impact. However, the long-term benefit of our coaching is that they also find that they are clearer about their vision for their work and have discovered a way to engage and influence that is authentic to the core of who they are. They transform themselves, so they can transform their organizations and causes. The experience of learning in a group can be exciting, and when budgets or time are constrained, it can also be a great way to get information and some experience with communication impact. Clients who have taken our workshops have found them to be pleasantly different from others they’ve taken. Focused on “Finding Your Voice” our Information-rich intensives delve into varied aspects of influential, compelling verbal communication. They have the opportunity to apply techniques with immediate feedback via real-time coaching. It’s a different dynamic than executive coaching; it’s a chance to take a risk, step out in front of others and try on a new approach. We encourage workshop attendees to leave with one or two things they will continue to work on for their desired growth. Sometimes what’s needed is a solution that solves a specific communication issue in a unique way. We have coached an engineering leadership team virtually in India, worked with speakers at TED and tech conferences to help them tell stories for non-technical audiences, and guided c-level execs giving keynotes at major conferences. Sometimes our executive clients get so excited about their coaching that they want us to introduce our approach to their leadership teams. We’ve also coached cohorts of experienced women executives who still face the challenges of speaking up in a male-dominated industry. If you have a special communication challenge, we are ready to build a custom solution to address it. We offer coaching that takes you beyond what you have already learned and experienced. Much as a golf swing improves a golfer’s performance, we take your communication to the next level, addressing areas most communication training does not reach such as voice and vocal image, and creating a competitive advantage in the world of video conference calls and arena speeches. Many of us started in the arts where we learned that a systematic, regular approach to behavior change is the only real answer to changing habits. 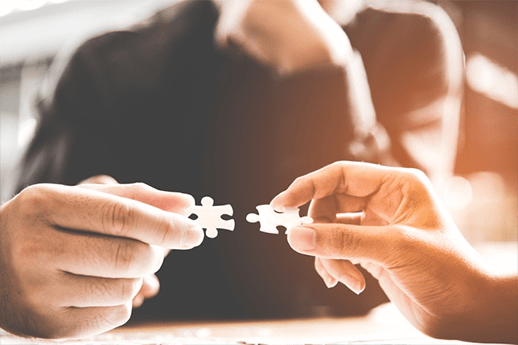 We know what it takes to transform communication and while we don’t expect a quick fix, we know the steps needed to make significant change happen. In addition, we focus on the voice rather than the content…the person rather than the slides. Our services guide people to find the voice they want to use, both physical and metaphorical, and help our clients improve all their communication rather than just one small portion. Can you work with people over Skype or does it have to be in person? We balance our time between virtual and in-person coaching. Much of the coaching can be done virtually, some is focused on responding with critiques of client videos, and, if possible, we also meet in person every few weeks. We always seek to find a balance that works for our clients. We work with very busy people. If you want to have impact and want to find the time to do this work, we find ways to help you fit coaching into your calendar. To do this, we observe you in meetings and presenting at conferences, and we give you feedback; we schedule in advance; we work with relevant content so that each session takes advantage of preparation that you would be doing anyway. We are creative and seek to make this work for you. Can a person really change their voice? Voices are created in the first place. We all learned to speak through imitation because humans are not born with the ability to communicate verbally. The evolution in the human body that led to speech took 100,000 years to happen and it still takes 2 years for a baby to learn to use their voice to form language. You created the voice you have, and, with time and the right training, you can create something different if you want to. How can I find my voice? Each voice is unique to begin with, but we often “lose our voices” due to a lack of the skills necessary to create purposeful communication wherein all parts tell the same story. Finding your voice requires a process of discovery and the willingness to try new things; you have to discover what drives your communication and how you want to be perceived by others. You have to find the story you want to tell. We have a process that quickly reveals the core of who you are as well as what stands in the way of using that voice to express yourself. We then coach to bring out your real voice in your unique story told in a way that others will listen. How long will it take to change my old habits and develop new ones? Research tells us that it takes anywhere from 24 to 240 days to break a habit or learn a new one. The length of time depends on the complexity of the habit and how much time you have to devote to that change. Any real behavior change takes constant, regular attention. K8sVoice is our blog. We’ve been writing since 2006 and have hundreds of posts addressing public speaking, executive presence, and the human voice, and each post has actionable tips and techniques to explore. You can check it out here. There is also a book written by our founder that you can purchase online. It’s called Can You Hear Me Now? 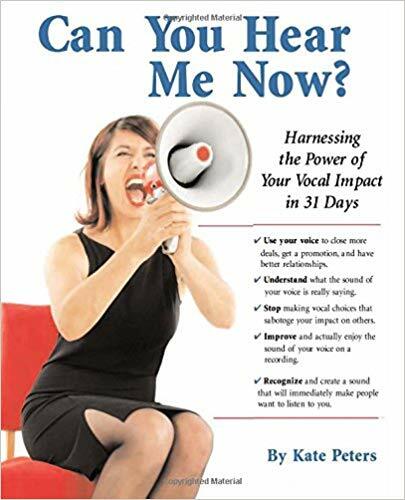 Harnessing the power of your vocal impact in 31 days. What is executive presence, and can you help me find it? Core characteristic. Having gravitas means that you are taken seriously, that you are comfortable in your own skin, that you are committed, and that you demonstrate confidence in your point of view. With gravitas, you say what you mean and mean what you say, and all parts of your communication tell the same story. Executive Presence is something you develop through knowing who you are and what matters to you, speaking from your authentic self, and gaining experience through applying skills and discipline to your communication. We coach to guide people to find their unique, authentic voice, and in so doing they develop the confidence and centeredness of Executive Presence. How do I develop more confidence as a speaker? One way to develop more confidence is by taking opportunities to speak and gaining experience. There is really no substitute for that. However, speaking today is a relationship-building exercise. The more you focus on what you bring to the audience, the more confident you feel. It’s not about you. It’s about them. In addition, we coach to find your true voice and when you do, you feel more confident because you are speaking from the core of who you are, with no apologies. I’m very shy. Can you help someone like me without changing me completely? People may be shy because they are afraid to step out and take a risk or they may be introverts. Either way, there are methods to help people express themselves with impact without insisting that they have to be someone besides who they are, naturally. Introverts can learn a few extroverted behaviors that serve them and that don’t make them uncomfortable in order to have more impact, and people who are risk averse can take small risks regularly over time to increase their confidence in their ability to speak up and be heard. Start improving your communication impact and presence today!